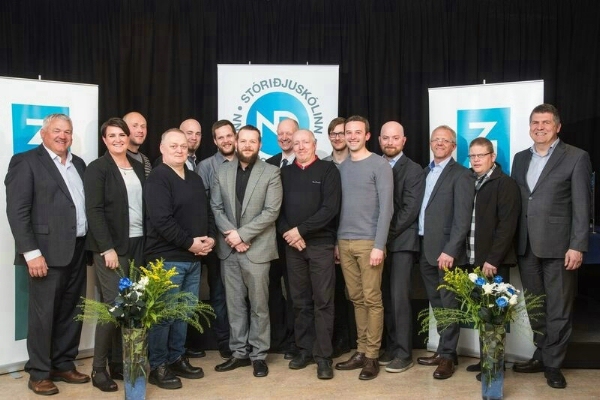 Norðurál has operated a School of Heavy Industry since 2012. The purpose of the school is to help our employees to increase their skills, knowledge and understanding of the main processes in producing aluminum in a safe and efficient manner, in order to make them more satisfied and confident in their work. At the same time, the school increases value creation, strengthens the company’s competitive position and makes Norðurál a more desirable workplace. We offer both a basic and an advanced course that are three semesters each. The basic course is intended for unskilled employees. The advanced course is intended for skilled works and those who have graduated from the basic course. The school is operated in cooperation with The Centre for Continued Education in West Iceland. Teachers from Fjölbrautaskóli Vesturlands College participate in the teaching along with specialists working for Norðurál. The courses are based on the curriculum on heavy industry issued by the Educational and Training Service Centre for the Employment Sector. The syllabus has been adapted to the needs of Norðurál and the machinery that’s being employed there. It can thus be said that the daily challenges faced by the students are woven into the studies. The subjects studied at the school include learning techniques and communication, safety matters, mathematics, computers, mechanics, physics, chemistry, electrochemistry, environmental matters, refractory materials and quality control. The academic performance has been very good even though many students have not attended school for decades. The school has demonstrated that it not only makes our employees more skillful but also encourages them to seek further education. The studies offered at the school are evaluated for credits at the Fjölbrautaskóli Vesturlands College.